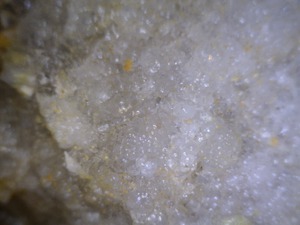 A sulphur mine approximately 8 km south of the settlement San Pablo de Napa, but it is not one of the San Pablo de Napa sulfur mines. Reference: Visual ID; composition Cu + S confirmed by both SEM/EDS and XRF. Reference: Ahlfeld, F. (1954) Los yacimentos minerales de Bolivia. Banco Minero de Bolivia & Corporacio Minera de Bolivia, La Paz, 277 pages. Ahlfeld, F. (1954) Los yacimentos minerales de Bolivia. Banco Minero de Bolivia & Corporacio Minera de Bolivia, La Paz, 277 pages. Ponce, J. (1967) Two page letter [enclosures missing] from Ing. José Ponce/Geobol to Ing. Gastón Pereora B., dated March 2 1967. [original in Sergeomin library in La Paz, copy in Hedegaard library]. 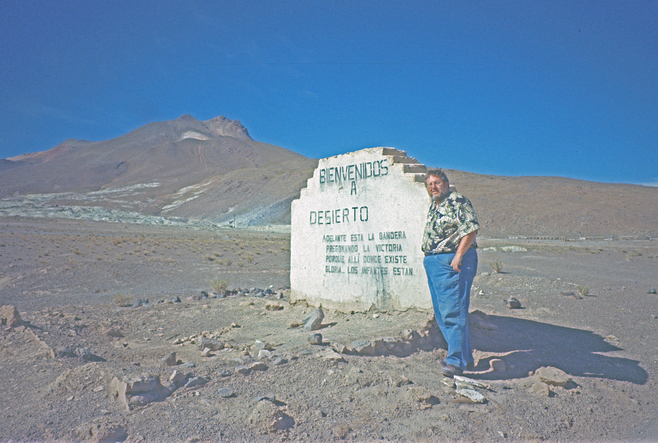 Hedegaard, C. (2001) The El Desierto Sulfur Mine, Bolivia. 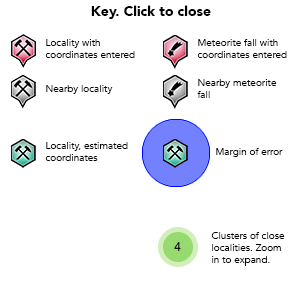 Rocks & Minerals, 76:6, 394-402. 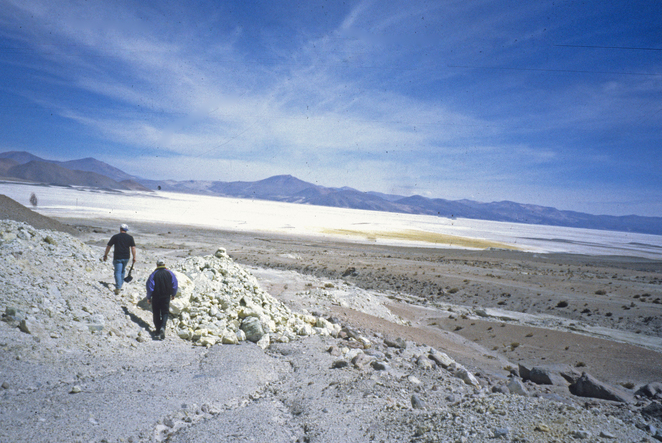 Hedegaard, C. (2001) Mining sulfur specimens in southern Bolivia. Bulletin of the Mineralogical Society, 130: 3-6. Hedegaard, C. (2001) From the edge of the purgatory to a show near you. Lapidary Journal, 54:11, 32-36. 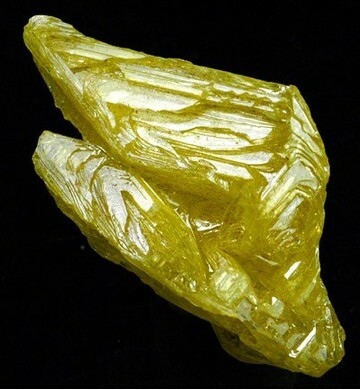 Hedegaard, C. (2003) "Specimen mining" i[n] Bolivia - om at samle Svovl i det sydlige Bolivia. STEIN 30:1, 23-33. Petrov, A. 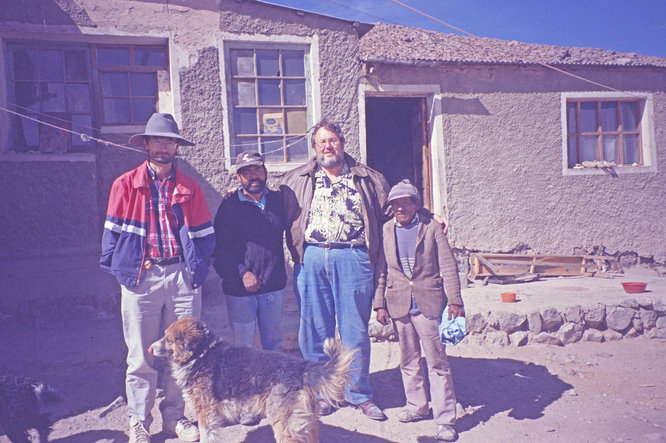 (2003) The El Desierto Sulfur Mine, Potosi, Bolivia. 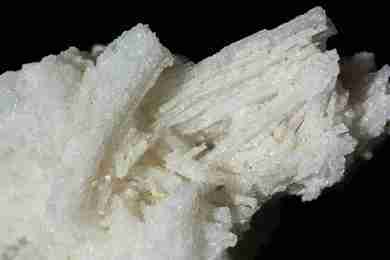 The Mineralogical Record: 34: 297-305.